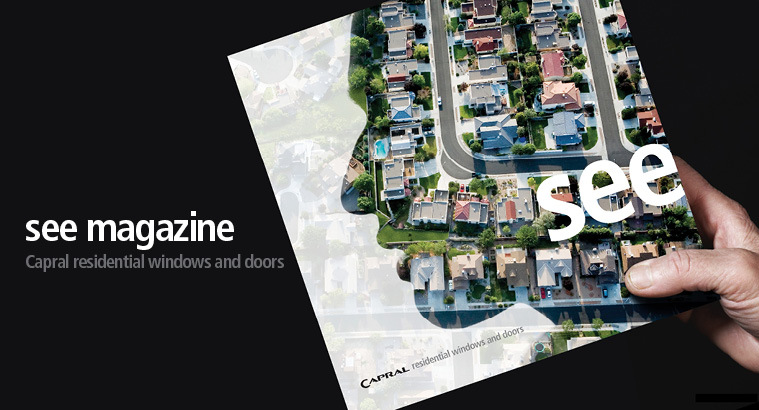 Capral is proud to present the new 'SEE Magazine' featuring High Performance Residential and Architectural Windows and Doors. The long anticipated magazine comes after dedicated partnership with Architects and Designers who specify Capral on a regular basis. The See Magazine draws inspiration from many of the top home magazines and includes a project showcase featuring award winning projects from around the country that have been purpose built for customers who enjoy energy efficient homes and reduced energy bills...thanks to Capral's Aluminium Architectural Glazing Systems.